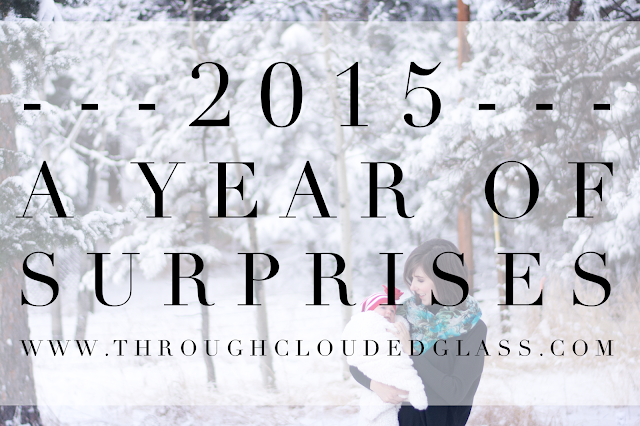 Every year I write a recap post from the year before, and I think if I had to sum up this year, I'd say that this was the year of surprises. 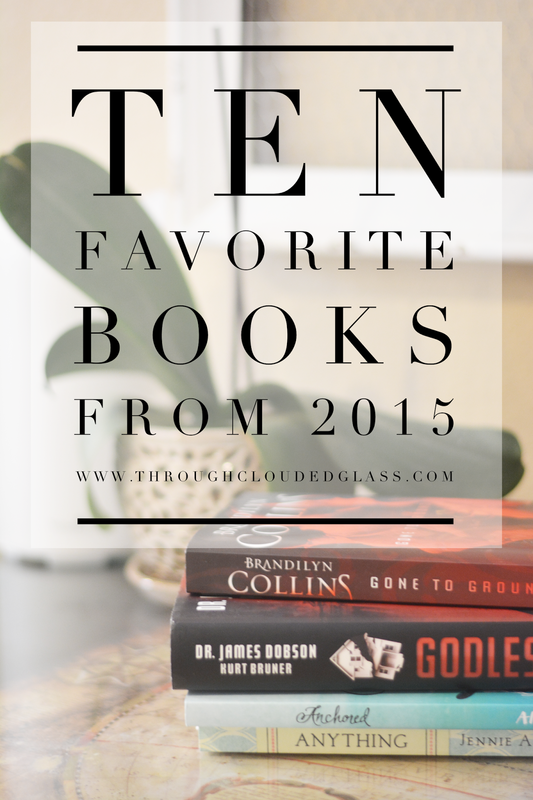 Some of them were not-so-great, but most of them were good! The first half of this year was just hard. I had a lot of personal things to struggle with, and lots of things that didn't turn out the way I wanted them to - but even during that hard six months, there were brilliant spots of sunshine - like finding out we were expecting our fourth baby! This is our year, in a nutshell. Derek went Christmas shopping for me on Monday. I have a strong suspicion on what he might have bought me (I won't write it here and ruin it for him if I'm right). Whatever it is, I am sure seeing what my husband picked out for me will make up for the fact that I was left to put the kids to bed alone. I think Christmas cards might be my love language. 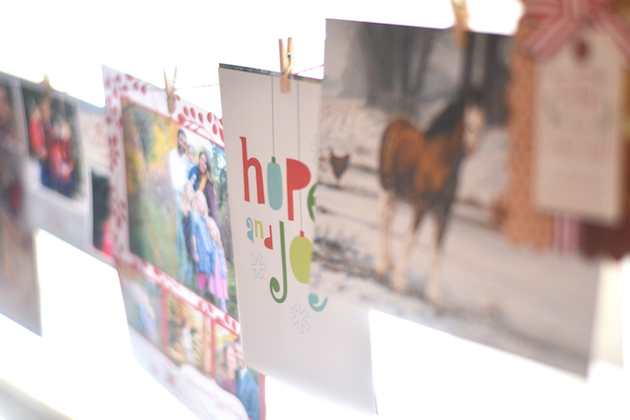 Every December I try to send my cards out early, hoping people will receive them early enough to send one back to me. I check the mail, every single day, hoping there will be at lest one card in the bunch. I hang them on a string in my kitchen, and my heart feels happy looking at them. I sat down the other day to think about why Christmas cards are so important to me, and I came up with three reasons why I think you should send cards (not trying to add to your Christmas stress, I'm just saying). 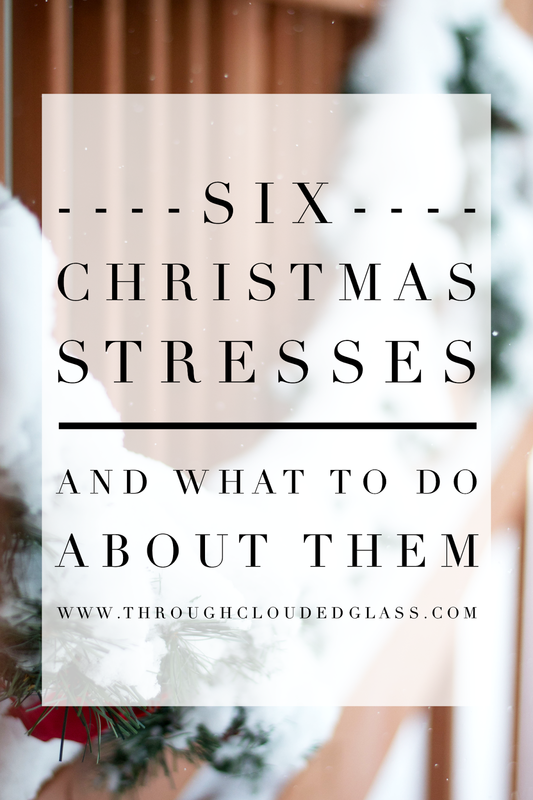 Isn't it sad that the Christmas season, which should be joyfully filled with family and fun, is so often clouded by stress? 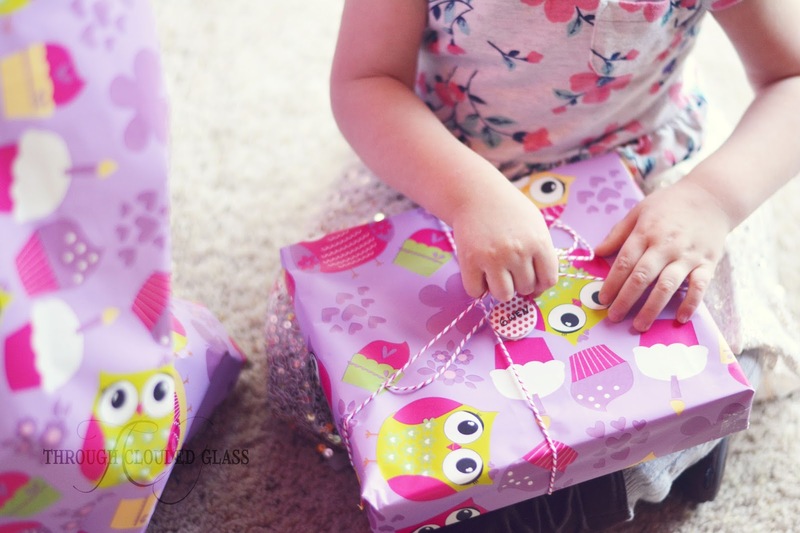 There is a lot of pressure associated with Christmas, especially for moms who are typically in charge of all the Christmas fun. 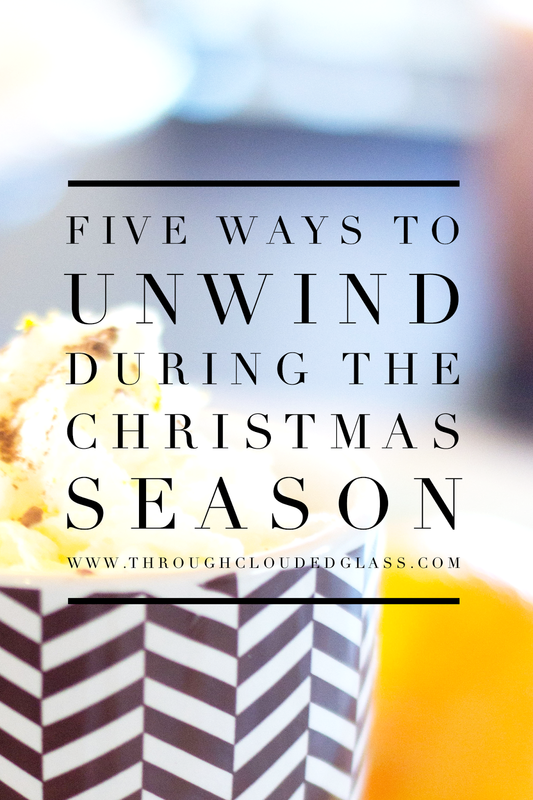 I've written already written about how to prevent Christmas stress, and specific things you can do to make Christmas easier. So what can you do when the stresses start to get to you? These are a few of my favorite Christmas-time escapes! There are certain tastes that we associate with certain memories. For me, the tastes of different drinks conjure memories of different seasons of my life. 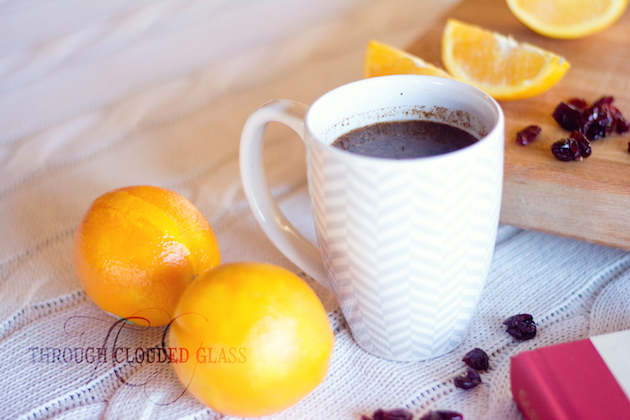 I specifically associate cranberry, orange, and tea with winter and Christmas memories, so I thought why not combine all three into a family tea recipe that would fit perfectly into a Christmas family gathering or party menu? And so this recipe was born. Christmas time is a season of joy, love, and . . . stress. 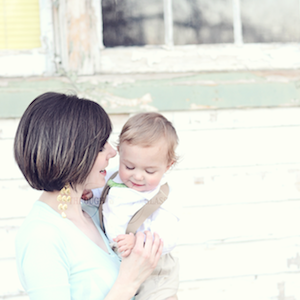 I wish it wasn't true, but especially if you are a mom, you know what I am talking about. I never realized how stressful Christmas season could be, until I had a family of my own. 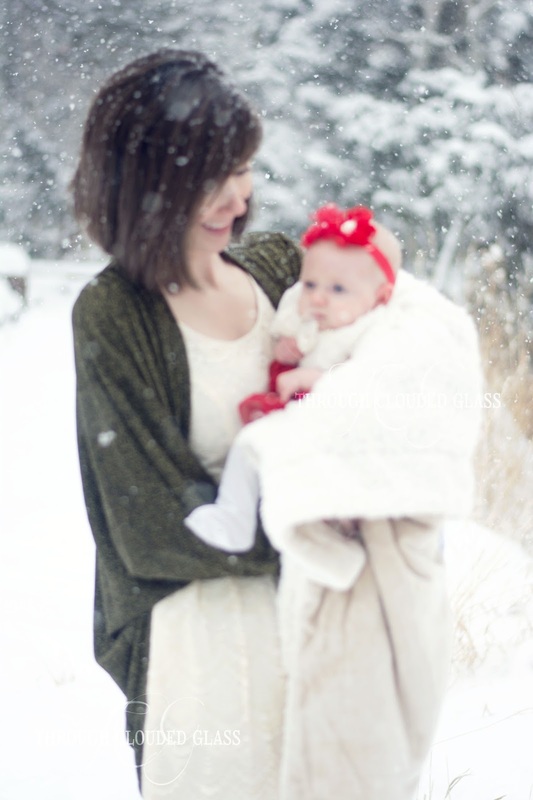 It is hard to juggle four kids while accomplishing everything that make up beautiful Christmas memories. But the whole purpose of building good Christmas memories for my family is defeated if I am stressed out in the process. Nothing is very fun when mom is stressed out. Over the last couple years I have been trying to find solutions to my most common Christmas stressors so that I can be jolly for my family during the Christmas season. I have identified six things that can become stresses, and I am in the process of figuring out how best to deal with them. These are the solutions I have come up with so far. The house was relatively quiet, which is a rarity these days. The kids were playing nicely (ie. no one was crying or screaming at the moment), and I had just finished nursing Clarice. She was laying on my lap, alert and content, and I caught her attention. I started talking to her, and she studied my face. Then I saw it - a little crinkle at the corner of her eyes, a scrunched nose, and the most beautiful tilt to her lips. My baby's first smile, on November 5th. And thus we started Clarice's second month.